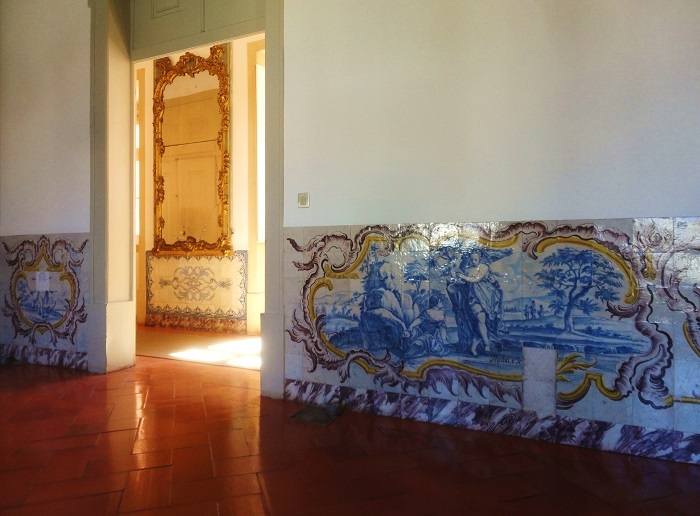 The late 18th century Palace of the Marquis of Pombal aka Oeiras Palace, at Oeiras, opened its doors to the public. 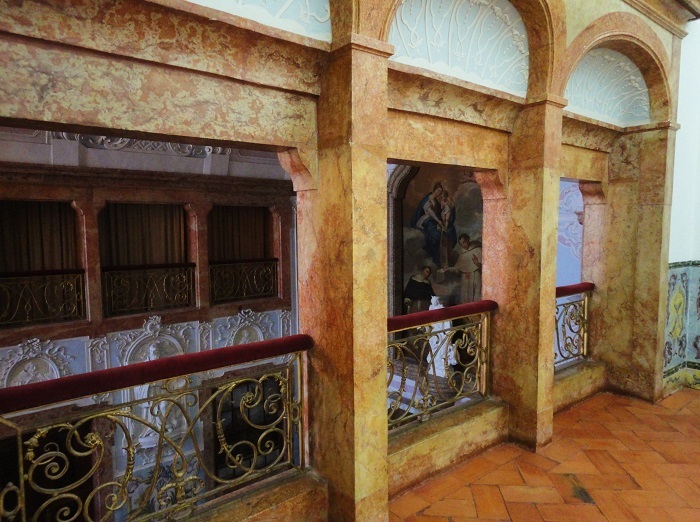 The Marquis' heirs have auctioned all the furniture in 1939, but the tiles, the ceilings and the chapel are worth a visit. 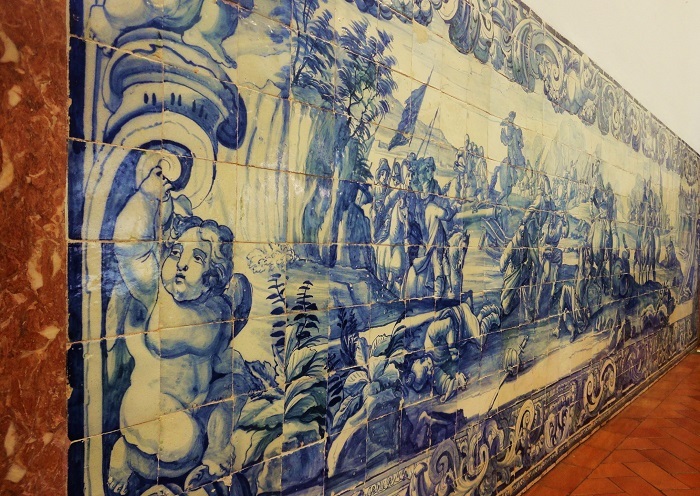 Lisbon collapsed after the 1755 Earthquake and King José I comissioned his PM, the Marquis, the reconstruction of the city. 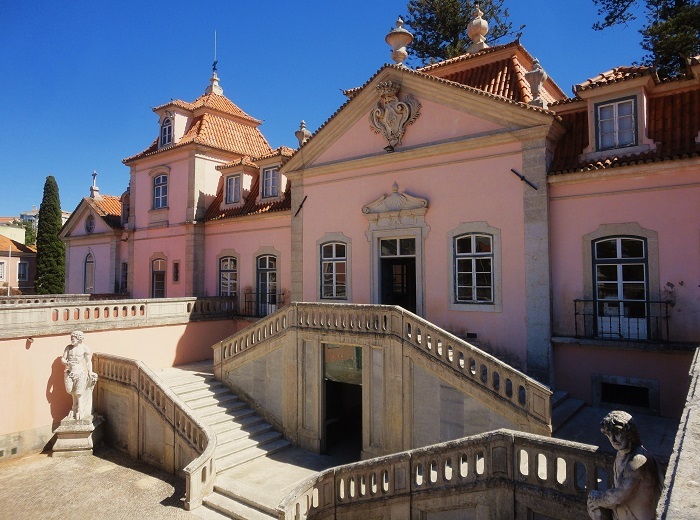 He did such a great job that the king decided to reward him with a large property at Oeiras as well as a palace complex for him to live with his family. Also granted him the title of 1st Count of Oeiras. Magnificent -- even without furniture! Terrific captures, Jose, as always!! And thank you for sharing, as always!! I hope you have a wonderful weekend!! Enjoy!! He got a beautiful reward. I like the marble and the mirror best. THAT's not a 'little pink house'. I love this! It's gorgeous. And so nice that the public are able to visit. Appreciated the history lesson, too! So sad that it is empty but wonderful to see it is being maintained, JM! I do like to see that tilework ! Wonderful palace! I remember the famous and practical words of the Marquis about healing the living and burying the dead, just after the earthquake. I assume, then, that it is open to visitors. A shame, though, to walk through barren rooms. Too bad the furniture is gone but the building itself is still fabulous!